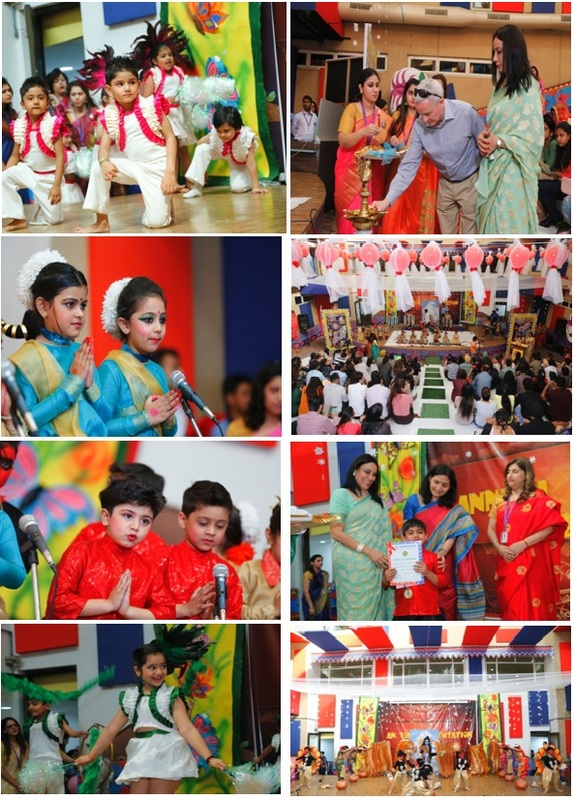 Ten years of learning and acquiring the knowledge which has made the world reach those great heights that we can only attain after the commitment made to self that together we can and we will, with that thought K.R.Mangalam World School Paschim Vihar celebrated the colours of achievement, success and triumph in an ‘Annual Presentation’, where the young mangalities exhibited their great performances in a “GRANDIO SO DE SPECTACLE” where our honoured Principal ma’am Miss Meenu Kanwar along with our wonderful chief guest Mr. Nicky Kearns and Dr Reema Sehgal embraced the event with their gracious presence.The presentation started with a Welcome dance and kindling of lamp by the chief guests and Principal ma’am after that an amalgament of magnificent performances by a skit was presented through a beautiful fairy tale ‘Snowhite and Seven Dwarfs’. This dramatization of the little artists raised the craft of each child and this venture took to great divinity when the dances were introduced depicting each genre of human emotion. Each kid strived the best bringing in the event to a great success.